Cattleyas - NOW from ONLY $8.40 !!! Den. kingianum - NOW from ONLY $4.20 !!! Iwanagaara Appleblossom 'Fantasy' - NOW ONLY $18.75 !!! 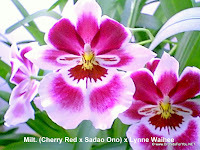 Miltoniopsis Hybrids - NOW from ONLY $9.60 !!! Paph. appletonianum x sib. - NOW from ONLY $22.10 !!! Paphiopedilum Species & Hybrids - NOW from ONLY $12 !!! Phragmipediums - NOW from ONLY $27.20 !!! Mottled-Leaf (Maudiae-type) Lady Slipper. Coloratum form. In 4.25" pots - 10"+ Leaf Span. Reg. @ $19. Take 20% OFF - NOW ONLY $1520 !!! Near Blooming Size plant with 2 growths. In 4.5" pots - 10+" Leaf Span. Reg. @ $37. Take 15% OFF - NOW ONLY $3145 !!! Near Blooming Size/Blooming Size 3-growth plant. In 4.25" pot - 16+" Leaf Span. Reg. @ $33. Take 15% OFF - NOW ONLY $2805 !!! Near Blooming Size, single-growth plant. In 4.75" pot - 20+" Leaf Span. Reg. @ $39. Take 15% OFF - NOW ONLY $3315 !!! In 4.25" pot - 6+" Leaf Span. Reg. @ $16. Take 25% OFF - NOW ONLY $1200 !!! Reg. @ $24. Take 25% OFF - NOW ONLY $1800 !!! Reg. @ $27. Take 25% OFF - NOW ONLY $2025 !!! Blooming Size plant with 3 growths. In 4.25" pot - 7+" Leaf Span. Reg. @ $27. Take 15% OFF - NOW ONLY $2160 !!! In 4.5" pot - 20+" Leaf Span. Reg. @ $34. Take 15% OFF - NOW ONLY $2890 !!! 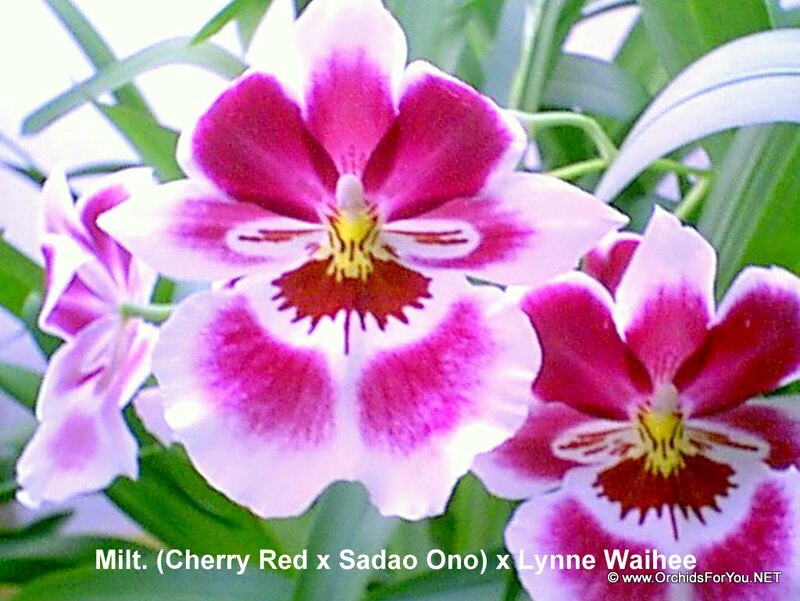 Well-established, Blooming Size to Mature Blooming Size plants. In 4.5" pots - Reg. @ $41. Take 20% OFF - NOW ONLY $3280 !!! Mature Blooming Size, some with multiple new growths. In 4.25"- 4.5" pots - Reg. from $34. Take 20% OFF - NOW from ONLY $2720 !!! Blooming Size with multiple new growths. In 4.5" pots - Reg. @ $34. Take 20% OFF - NOW ONLY $2720 !!! TAKE 15% OFF - Reg @ $24. NOW ONLY $2040!!! TAKE 15% OFF - Reg @ $22. NOW ONLY $1870!!! TAKE 15% OFF - Reg @ $17. NOW ONLY $1445!!! TAKE 30% OFF - Reg @ $18. NOW ONLY $1260!!! TAKE 30% OFF - Reg @ $12. NOW ONLY $840!!! Well-established, Mature Blooming Size plants with new growth(s). In 2" pots. Reg. @ $12. NOW ONLY $960 !!! In 4" pots. Reg. @ $17. NOW ONLY $1360 !!! Shade-loving lady-slipper species from Southeast Asia charming, long-lasting (3+ months) flowers and attractive mottled leaves. Very easy to grow and bloom. In 3" pots. Reg. @ $26. NOW ONLY $2210 !!! In 4" pots. Reg. @ $29. NOW ONLY $2465 !!! A great Dendrobium species from Australia that comes in many color forms. Very hardy, vigorous grower and prolific bloomer. On top of those good qualities, it is also VERY NICELY FRAGRANT. 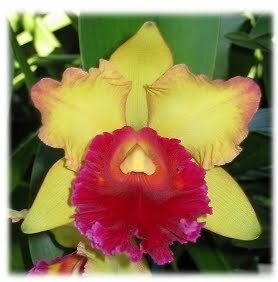 A must have for all orchid lovers!!! Well-established Near Blooming Size (Non-Blooming) Keikis. In 2.75" pots/3" Liners with 3-5+canes (<4" tall) - Reg. @ $6. Take 30% OFF - NOW ONLY $420 !!! In 2.75" pots/3" Liners with 2-5+canes (4"+ tall) - Reg. @ $9. Take 30% OFF - NOW ONLY $630 !!! Easy to grow and bloom. Unlike most other Cattleyas, this has a somewhat sequential-blooming characteristic. Very pleasant light fragrance. In 4.25" pots. Reg. @ $21. NOW ONLY $1875 !! !